This is the daily short science blog for the Merry Blogmas 2017 campaign. I will happy when it’s over. Even with decreased or no citations, daily blogging is a bit much. | Today’s post is a ramble about the science and pseudoscience of clay-based facial skin treatment. I’m not saying that all skin treatments are fake or lack a scientific basis; however, the amount of pseudoscience in the beauty and cosmetics industry is staggering. There are more false claims than not, mostly because savvy marketers can sell any whacky skin treatment to women desperate to buy some beauty. Today I want to present to you one such pseudoscience sales pitch given to me several years ago. I remember it well because it slammed like a rotten tomato into my brain full of mineralogy. Me: “It charges molecules?” I added an encouraging and friendly smile. This sounded like the surface electrostatic imbalance effect seen at the exposed surface of all clays. The bit about excess sodium was pure bunk. At this point I’m beginning to enjoy myself. 50% Off for Bentonite Clay, Like the Stuff I Buy at the Feed and Seed Supply? At this point, I think I asked to be taken to the massage therapist for my massage appointment. Don’t try to hard-sell a clay facial using pseudo-science babble to someone who’s done mineralogy for a living. Yes, bentonite is used for most clay varieties of kitty litter. It’s also used in animal feed, toothpaste, cosmetics, drilling mud, pollution spill kits, laxatives, wound dressings, topical medicines, mining and construction slurries, grouts, cements, ceramics, and yes, facials. Without boring everyone to tears about what T-O-T structure is, I’ll just note in passing that T-O-T clays have the best absorbing power. Regardless, the great virtue of a clay-based skin treatment is the splendid quality of any clay as absorbing agent. I think I was just annoyed with the bad science used in a hard sell tactic. That and the fact that I’m never going to spend $40 bucks at a Jackson Hole spa for a few pennies worth of clay on my face. 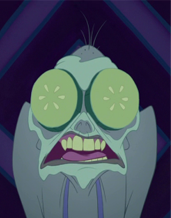 Today’s banner image is of Izma’s overnight mud pack facial, from The Emperor’s New Groove, ©2000 by Disney, Fair Use as an example of an ineffective facial.